The antidote: Should I open the door? 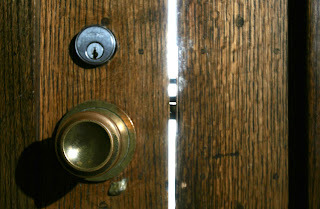 At times trouble comes knocking on your door, and I can only wonder if I should open it. It could be anyone, my friends, my family, or just a complete stranger. You may never know the news the person on the other end may have for you. The news could be important information that could change your life, or how you view things. The news may not always be bad, but could have a negative outcome if its not taken care of right away. And of course it could be a stranger that would kill you and since you didn't open the door, you still have your life..
Well someone is knocking on my door *slowly gets up an hesitates*......... Should I open it?